Homeschooling doesn’t have to be done solely at ‘home’. 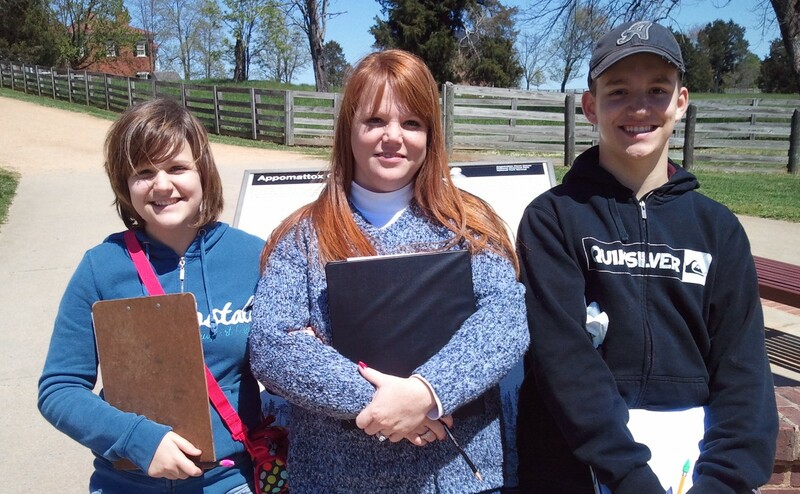 While studying the Civil War, we went to Saylor’s Creek in Virginia to learn a lot about the end of the war. Usually, just getting started with something new can be the hardest part of the whole adventure. When we took my daughter out of public school, she was in the middle of the semester. We knew that we were doing the right thing, and that ultimately this would be the best decision that we could have made for her, but after I pulled out of the school parking lot with her in the seat beside me, I almost had a paralyzing panic attack. What do we do now? Did I just tell the school that I could give my daughter an education at home, a middle school and high school education at that? Am I sure that I heard God correctly, that He wanted my husband and I to educate our children at home, because I think that He forgot that I hated math and didn’t really like most of the other subjects all that much either? What have I done?? Yeah, all of that is normal. Take a deep breath, forget how much you hated school or that you will be a horrible teacher, and prepare yourself to be pleasantly surprised. Nothing about homeschool even closely resembles the public education that you and I remember, it is more like what you wished school could have been like, because guess what…..homeschool is whatever you want it to be! Of course, there are rules that must be followed, and each state has different requirements and regulations, but for the most part you are able to tailor the curriculum to your child’s needs. Cool huh? Your child’s needs, not the needs of 35 other kids crammed into one classroom with an overworked and underpaid teacher who doesn’t always receive the support that she needs to deal with all of those different learning styles and personalities. So now what do you do, right? Here is the route that I took for my children, but that doesn’t mean that it will necessarily work for your family. However, it will at least give you a starting place and that’s half the battle. Step One: Research your state’s homeschool laws and your city’s regulations. 1. Visit the HSLDA (Home School Legal Defense Association) website to find out what the laws are for homeschooling in your state at http://www.hslda.org/laws/default.asp Once you find your state and review your options, you must chose the one that will work best for your family. For example, in Virginia we must chose between four options, and then those options have options We chose option I Home School Statute, and under that option we chose option 4. Provide evidence that the parent is able to provide an adequate education. Trust me, this will make more sense when you are actually looking at your state’s laws. NOTE: You do NOT have to include your curriculum unless you have chosen an option that requires you to give it. Choosing a curriculum takes time so you might not know exactly which one you are going to use. If that is the case, and you are not sure yet, just list the subjects and you can figure everything else out in due time. If you chose the religious exemption, it is not required to tell them what you will be teaching, but you do need to research this one extremely well as it is a bit more complicated. Step Two: Make sure that you took back your kids the right way. 1. The schools in our city requires that the parent physically go to their child’s school and fill out a withdrawal form. If your child has books or materials that are school issues, you could be required to return those items or pay for them. Lockers, cubbies, and desks should be cleared of personal belongings. 2. Leave on a good note. No matter what the reasoning’s or issues that led you to take back your child, make God proud. My mom always told me not to burn bridges, and this is especially true here. No one can see into the future and you never know if you might need that same school system again, no matter what you think of it now. Things happen and things change, but if we leave the way God would expect us to (with grace and forgiveness), then we can use this resource again if it became necessary. Step Three: Join a local homeschool support group. D.J. working his way through Rod and Staff’s Bible program. 1. 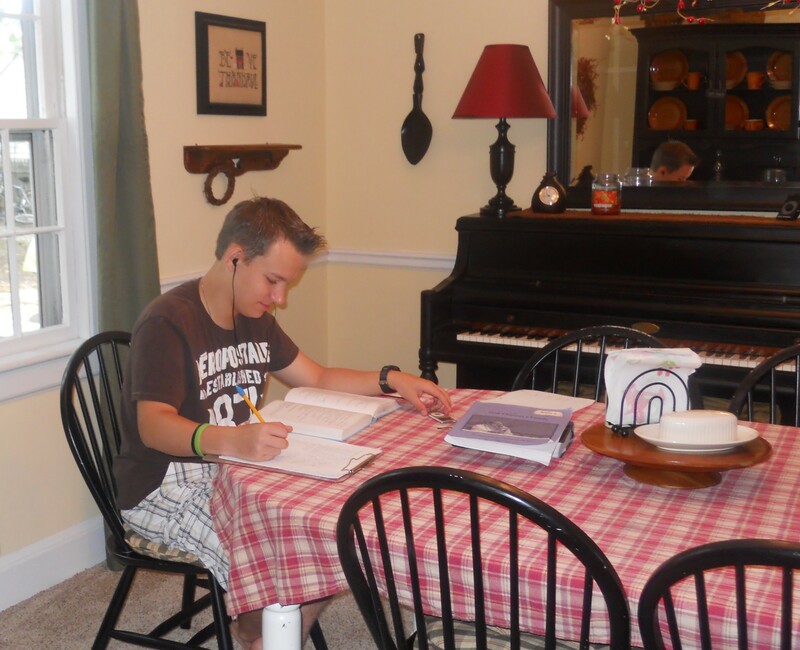 If you already know someone who is a homeschooler, that is super…..ask lot’s of questions. Almost all of the homeschooling mom’s that I have met were extremely generous with their expertise and information. They also remember what it was like when they were first starting out, so they will know exactly what information you will need, even if you don’t know which questions you should ask….consider yourself blessed. Casey working on the computer for Rosetta Stone Spanish. a. Yahoo Groups. Go to http://groups.yahoo.com/ and search for your area. For example, if you live in Orlando, Florida, then type in homsechool support in Orlando Florida. I always put in Christian homeschool to narrow down my results. These groups are awesome, because you can find everything from homeschool sports, homeschool scouts, to your particular homeschool style (like unschooling or classical). b. Local homeschool store. Check your phone book. We have a homeschool store in our area, and they have an awesome ‘New Homeschooler Newsletter’. Remember? Homeschoolers are usually very giving and they know your needs. Some stores even offer monthly homeschool support meetings, and if they don’t, they usually know where you can find one. c. Local churches. My church does not have a homeschool support group or a co-op, however, when we asked if we could hold a weekly homeschool meeting there, they quickly agreed. Other churches do have co-op’s in place. Again, talking to other homeschoolers will help you find the churches that offer support, but don’t forget to ask your home church. Note: A Co-Op is a place for homeschoolers to go and take classes, such as math, science, English, foreign language, art and music. Parents will sometimes enroll their children in one or two classes if they feel inadequate teaching a particular level of math, they do not have artistic skills, it is more cost effective to take a class then to purchase several hundred dollars worth of science equipment, etc. Some parents feel that enrolling in Co-Op classes will give their children a chance to meet new friends and have social connections. Costs for classes can sometimes be free or for $50-$80 per month, per class. Step Four: Research and pick the curriculum. 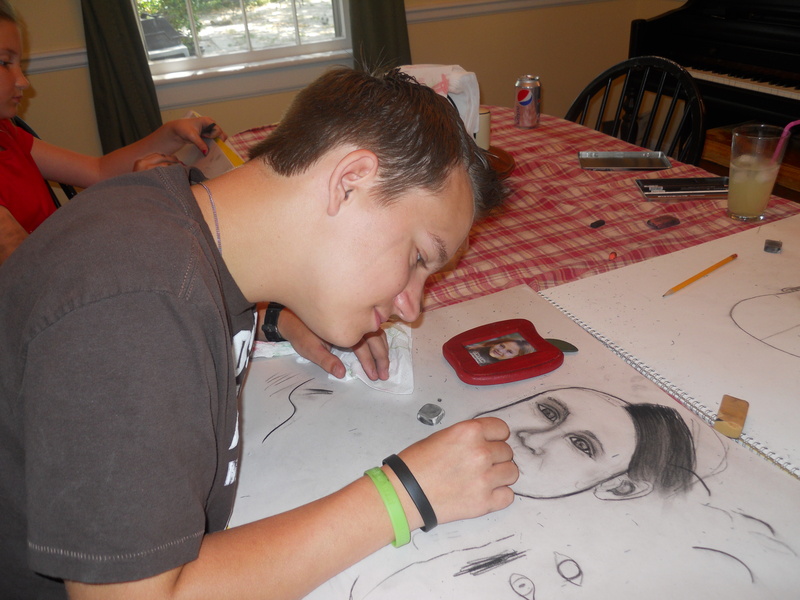 Electives such as art can be done at home (I am an artist so I actually teach homeschool art classes to several children in the community) OR you can go to a Co-op. 1. Eclectic approach (which is what my family uses), Curriculum is made up of several different companies and resources. (Ex: Math from Math U See, English from Rod and Staff, Science from Apologia, etc.). This approach works well when you have several children close in age or your children have different learning styles. Con: This takes a lot of research and sometimes a lot of money. You could love the description of a curriculum or program, only to find out after you purchase it that your child does not like it or does not do well (which can happen with any curriculum choice really). Pro: It is very easy to give your child the best tailor made curriculum this way, as it gives you the freedom to find what works and what doesn’t. 2. Box Curriculum: A ‘Core Set’ usually consists of English, math, science and history for a set price. You can then add on individual subjects based on your child’s interests, such as Bible, art, music, foreign language, etc., and pay for those separately. Con: Assumes that all children have the same learning style, or if it is customizable, it is very limited. Prices are usually higher because the company has done all of the research for you. Pro: One-stop shopping. You purchase everything you need for the whole year, all at once, at the same website, and it arrives all in one box. Just open the box, set up your teacher books and student notebooks, and you are ready to go. 3. Unit Studies (Charlotte Mason is one method that uses Unit Studies, but there are many different Unit Studies). This approach works by taking one subject like The Solar System (just an example) and incorporates most of the core subjects with just that one topic. It would go something like this: Read a library book on the solar system (reading skills), research one particular planet that you like the most and find out about the properties of that planet (science), write a one or two page report on that planet (writing skills), then pick a scientist or event in history that you would like to research further (history). Math would be done separately using a set curriculum. Art could be incorporated with either sculpting or painting the solar system, and visiting the planetarium could be the field trip. Con: Usually works well with young and elementary age children, but this style of education will start to have “holes” as children enter middle school and high school. Pros: Very cost effective, as the library is your main resource. Can be done with multiple children using the ‘School Bus Approach’, which means that you discuss the subject all together, but the younger children will ‘get off the bus’ with simpler tasks, while the other kids will ‘stay on the bus’ with more complex tasks. Unit studies are really interesting to kids because they get to focus on things that really interest them. 4. Unschooling. This method is completely child-led. It doesn’t have a set curriculum, as life is the classroom. Every day activities can teach math, such as going to the grocery store, reading is done based on what the child picks from the library, science is learned by whatever the child is interested in, etc. Pro: Great for children (and parents) who have certain interests that are extremely important to them. Step Five: Plan your home school schedule. 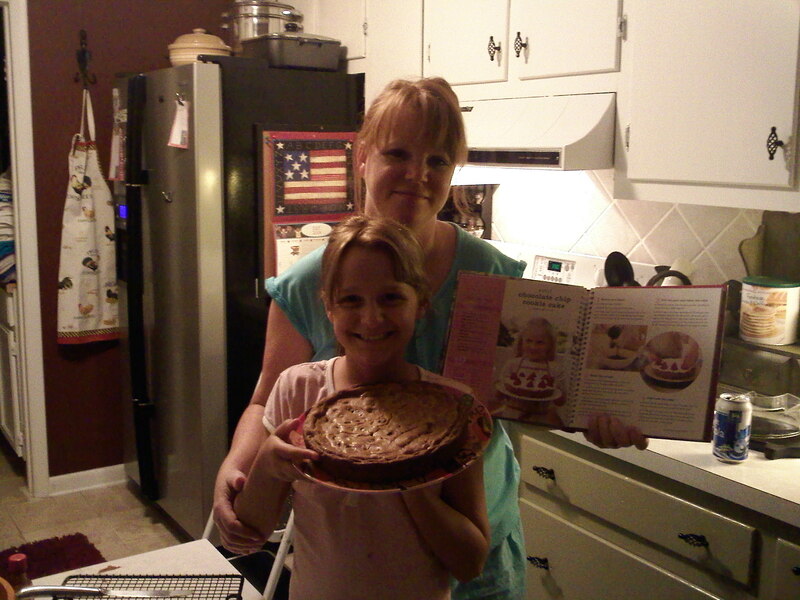 Every day homemaking skills, such as baking, can be incorporated into your curriculum. Home-Ec was never this fun in public school! 1. Mama’s area. A desk to yourself would be ideal, but if not, at least a few drawers to call your own. Stock it with red pens, black pens, black pencils and skinny highlighters. Let your children know that they are not to touch your pens and pencils, which is why they are a different color or shape than theirs. Think like a teacher and have stickers and pencils for rewards, a grading slider (it has a window that asks how many questions were on the test and a window for how many were answered correctly, then it gives you the average (these can be purchased online or at a teacher’s supply store like TAPS), a ruler, a stapler, tape, index cards, note pads, Post-its, calculator, etc. I also have a candy jar with their favorite treats which I give as Bible verse memory rewards and all of my teacher solution books and guides. 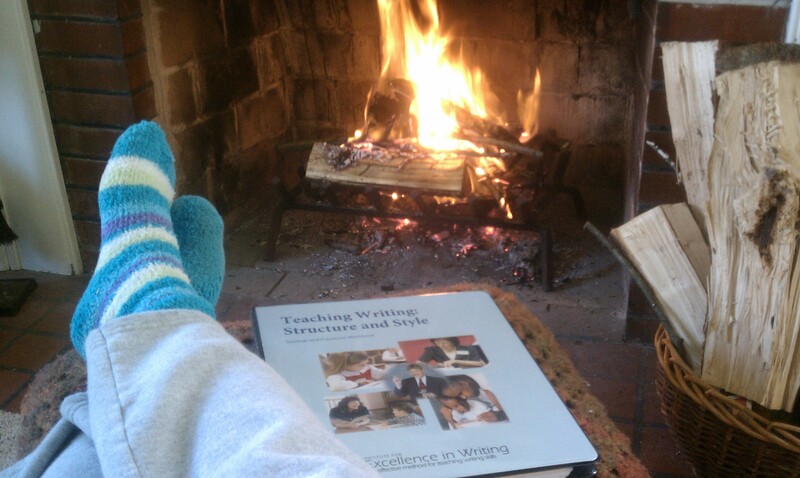 Have everything you need on your desk, as this is where you will be doing your lesson planning and grading papers. 2. Student area. 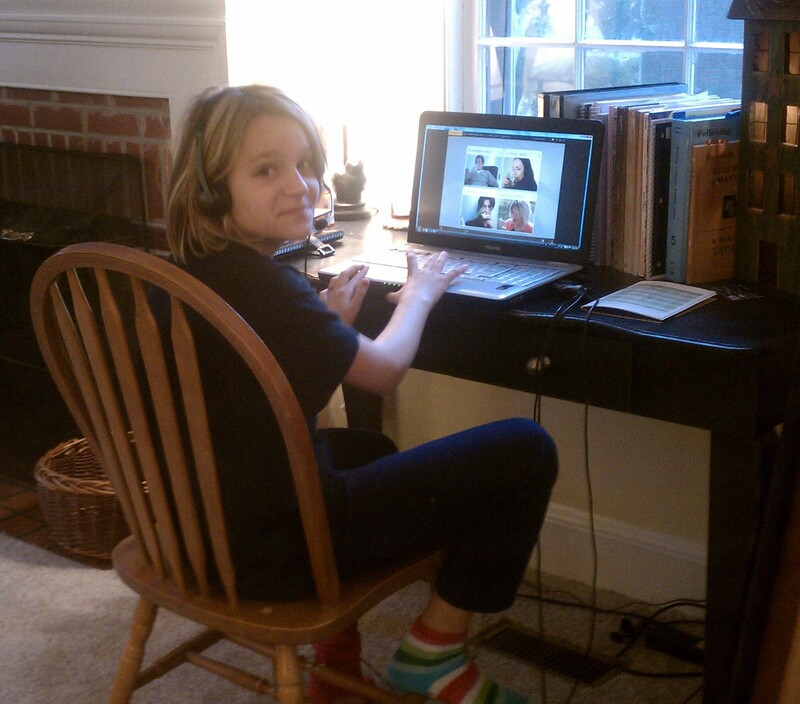 Again, it would be ideal if each child had his or her own desk, but we do our school work around the dining room table. I do have a small box for each child that has their supplies in it. They are stocked with blue pens, yellow pencils, and fat highlighters (see, different from mom’s so I know whether or not they are dipping into my supplies! ), notebook paper, clip board, crayons, markers (fat and thin), colored pencils, glue (stick and Elmer’s), scissors, ruler, stapler, tape, index cards, Post-Its, protractor, compass, and scientific calculator. They also have two shelves in the dining room. One has all of their notebooks and binders (one for each subject). The other shelf has all of their current textbooks, literature for the year’s reading list, and resources (a dictionary, a thesaurus, a spelling dictionary, a Bible dictionary, a Bible concordance, an atlas, and a Bible atlas). Step Five: Test your children at the end of the school year (if it is required). 1. Order a grade appropriate California Achievement Test from http://www.seatontesting.com which usually takes about two weeks to arrive, and only costs $25 per child (My city and state accepts Seaton’s tests, however, you must research your state and city requirements to see which test that they will accept). 2. A family member with a Bachelor’s Degree administers the test within the specified time limit. 3. Send the answers AND the test booklet back to Seaton for them to grade. 4. Wait two to four weeks for test results to arrive. 5. Send a COPY of the test results to my superintendent’s office by August 1st and file the original under ‘Test Results‘ in my filing cabinet. Step Six: File next years Letter of Intent. Use the same letter format at the beginning of this post, change the date, school year, and any curriculum changes, and send it in before August 15th (I usually send in my test scores and my Letter of Intent together, before August 1st). That’s it, one year of home school explained! If you have any questions (or you cannot find a home school group to help you), I will do my best to answer them, and then add them to my FAQ page for others to benefit from. Respond directly to this post with your questions. Most important thing is to RELAX! Teaching your children at home is supposed to be a time for your family to be together…..so above all enjoy it. You can do this, and just remember, God is the one who put the very first idea of home schooling in your head. When you follow God’s plan, you cannot go wrong. Just wanted to say thank you for your blog and the info you have provided. It has been helpful! I also wanted to let you know that the link for Seton tests is incorrect. Just a typo, took my to a search engine type page. It should work now…..thanks for letting me know!